EMERYVILLE, CA--(Marketwire - August 8, 2008) - Ratcliff (www.ratcliffarch.com), the award- winning architecture, planning and interiors firm, added Steven Steinberg, AIA, as a principal to the firm's healthcare practice group. Ratcliff provides a broad array of design and planning services to healthcare, academic, and civic clients throughout the Western United States. 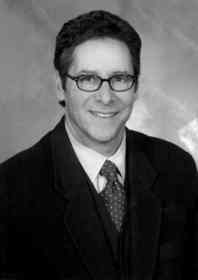 "Steven Steinberg brings a wealth of project experience with many different client organizations and has compiled a substantial record of success. Ratcliff is fortunate to have someone of his capability and stature join us, and we are benefitting from his insightful contributions to our teams," said Gary M. Burk, principal and leader of the firm's healthcare and consulting practices. Prior to joining Ratcliff, Steinberg held leadership roles as founder, principal and owner of CES Associates in New York and Arizona and as director of healthcare for Leo A Daly in Phoenix. He is a member of the American Institute of Architects, The Center for Health Design, American Society of Healthcare Engineers, and the Urban Land Institute. Steinberg earned a bachelor's degree in architecture from Pratt Institute in 1974 and a bachelor's degree in history and art history from Hofstra University in 1971. While a student at Pratt, he won the prestigious Adams Design Award for a community outpatient center in New York. Headquartered in Emeryville, California, Ratcliff is the winner of the 2005 Firm of the Year Award from the American Institute of Architects-California Council. The third-generation architectural, planning and interiors firm employs a staff of 80 design professionals and is dedicated to designing sustainable structures in healthy balance with time, purpose and place. The Emeryville, Calif., firm is recognized as one of Interior Design magazine's Top 40 Healthcare Design Firms in the United States.